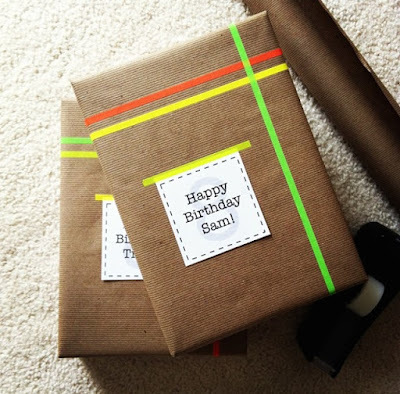 My Favorite Way to Wrap Gifts || Happy 9th Birthday to my Blog! I like to keep gift wrapping simple. 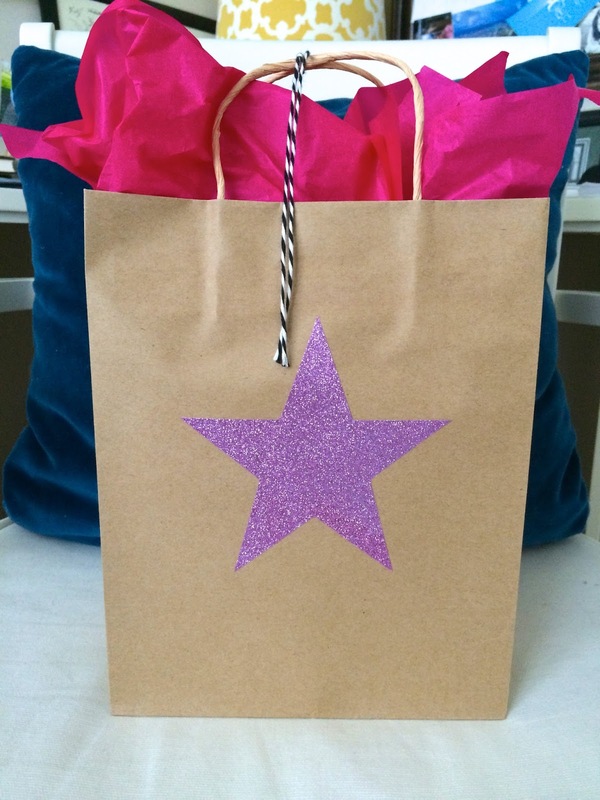 I prefer plain paper and bags to themed ones because I can dress them up, use it for any occasion or gender, and plus, they're cheaper than themed ones. When I found these stickers on clearance at Target I knew they'd be perfect to add to my gift wrapping arsenal. Here's a handful of some other gifts that I've wrapped throughout the years. 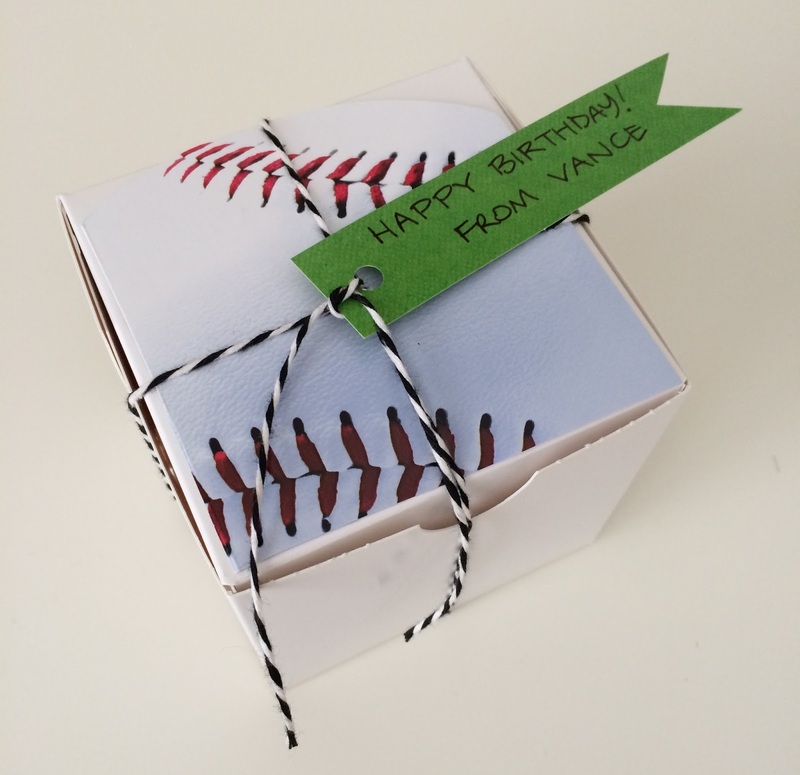 white cupcake box, filled with a gift card and baseball cards. The baseball on top is from an old card that I cut apart. 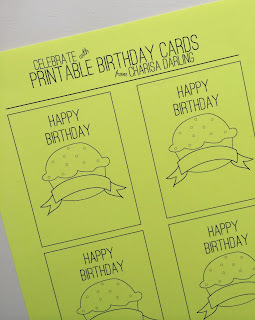 I use these printable cards all the time and they save me so much money because they're cheaper than traditional cards. 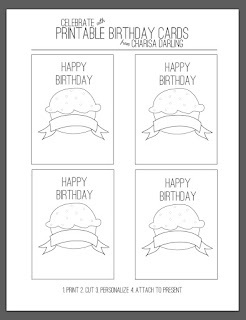 Just print them out on the paper of your choice, write the birthday boy or girl's name in, and have your kiddo sign it. (I think it's cute to add some color of your own if printed on white paper!) Available through instant download on my Etsy site. Click HERE to see them. Big blog hugs and confetti to you! 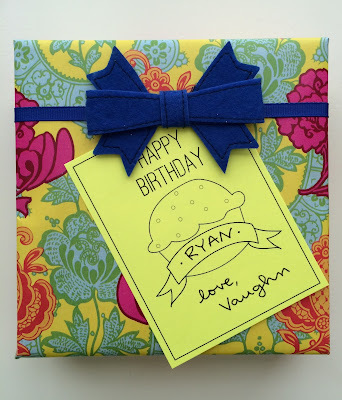 Here's to many more posts with this awesome wrapping to go with!